The annual video game trade fair held in Cologne, Germany is looking increasingly likely to be when Microsoft will announce the start of Xbox One X pre orders. With the upcoming event less than a week away, impatient fans received a welcome update from Microsoft through Twitter. Frustration among gamers has been building ever since the company officially announced the new console at E3 2017 earlier this year. Formerly project Scorpio, the Xbox One X is due for release on 7 November but is still not yet available to pre order 8 weeks on. Ever since Microsoft revealed the One X, there has been a clamor for it to be made available to pre order. The new consoles’ impressive specs and capabilities mean that many gamers were eager to secure a unit of their own before its November release. But Microsoft has been slow to make the device available to reserve. 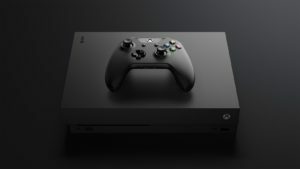 This has causes a lot of frustration for fans of the machine with many calling for Microsoft to open the pre- orders already. “Take my money” has been a common theme, along with questions on when the console would become available. Understandably, the Twitter-sphere went crazy as hopes for Xbox One X pre orders becoming available at the weekend rose. Whatever news Microsoft has better be along those lines otherwise the company may end up losing the momentum its new console has built up. A sense of resignation is creeping in and Microsoft will want to erase that by annoucning the Xbox One x pre order date. If these assumptions are correct, the One X will be available to reserve this Sunday. But until then, all Xbox One X fans can do is hope and pray.